Usually when we hear the term of pirate, the first few images that cross our mind are negative. 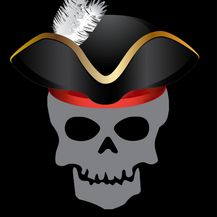 Whether it is in kids stories like Peter Pan or movies such as Cutthroat Island, pirates are always stealing and trying to cause harm to those around them. So naturally when I say the title of Dave Burgess blog “teach like a pirate”, I had to look at what he was talking about. After looking into his blog I was surprised that he is a motivational speaker that works to motivate the most difficult of students. Though he is the author of the book “Teach Like a Pirate”, his blog is more directed to other education enthusiasts who are trying to make a difference. Whether it is a book he just read or an individual putting on a clinic, he talks about the amazing work and the impact each person is doing. If you want to know some great techniques to teaching I would look into this individual’s website.